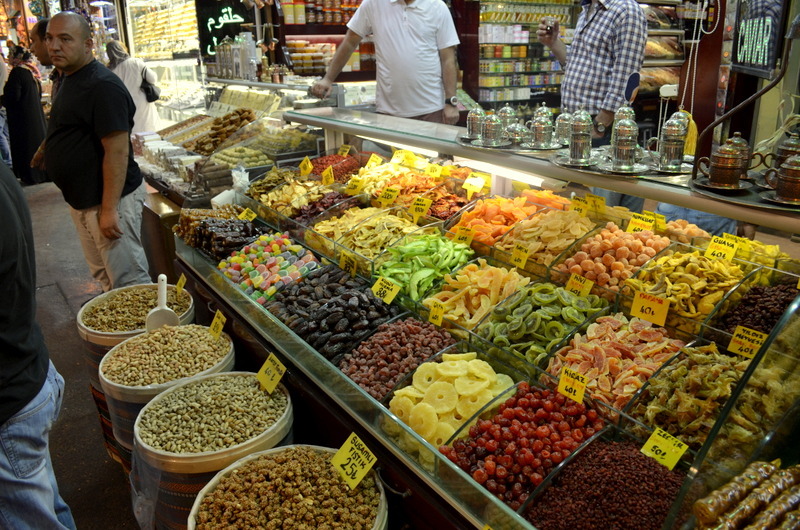 Istanbul was a long due family holiday which I had been planning for a long time, the main attraction being the spice bazaar and the nearby area. I fell in love with the place, food, and the people. Though I must admit, the heat was at times scorching due to it being the peak of summer. 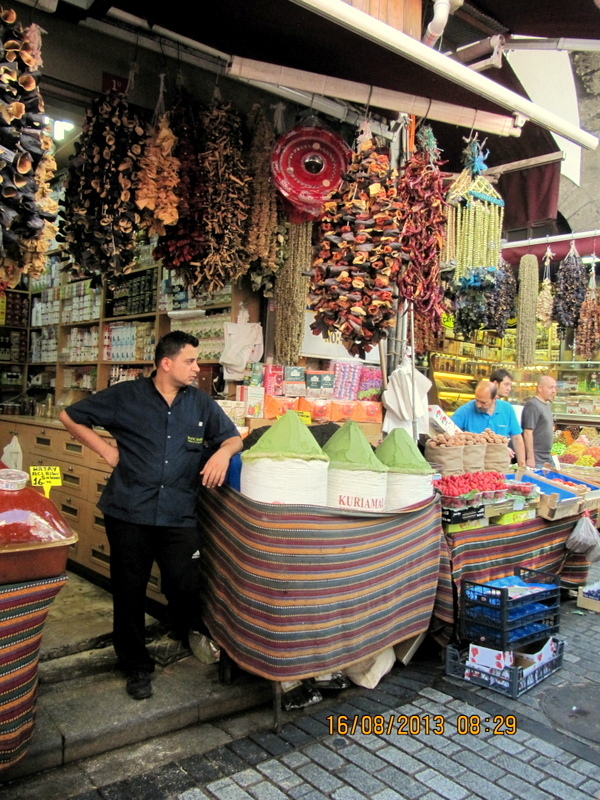 A busy afternoon in the spice market. 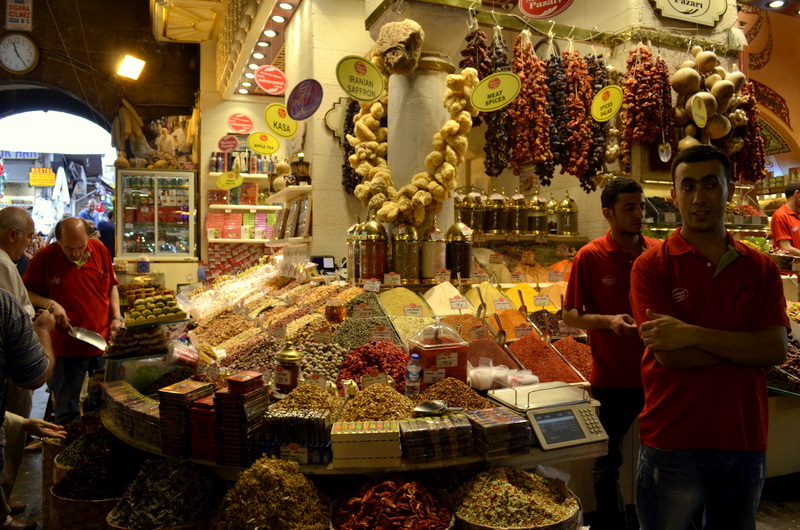 We first visited the Spice Bazaar in the afternoon and it was so crowded! I decided to go back another day morning and it was definitely a wise decision! 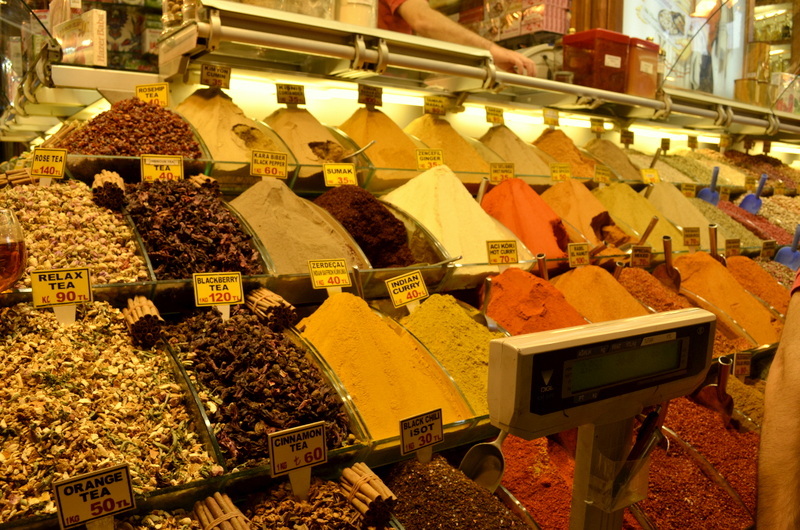 Spices and spice mixes for all tastes. So colourful! It was very hard to walk away without taking a photo! Each and every shop looked fabulous! 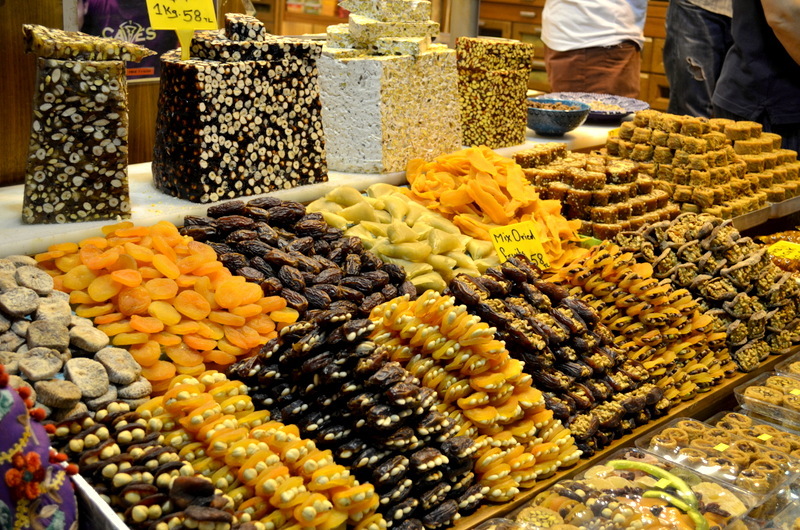 More traditional dried fruits, stuffed with nuts! I was very tempted to buy many things, but I just picked some green walnuts in season to bring back home. 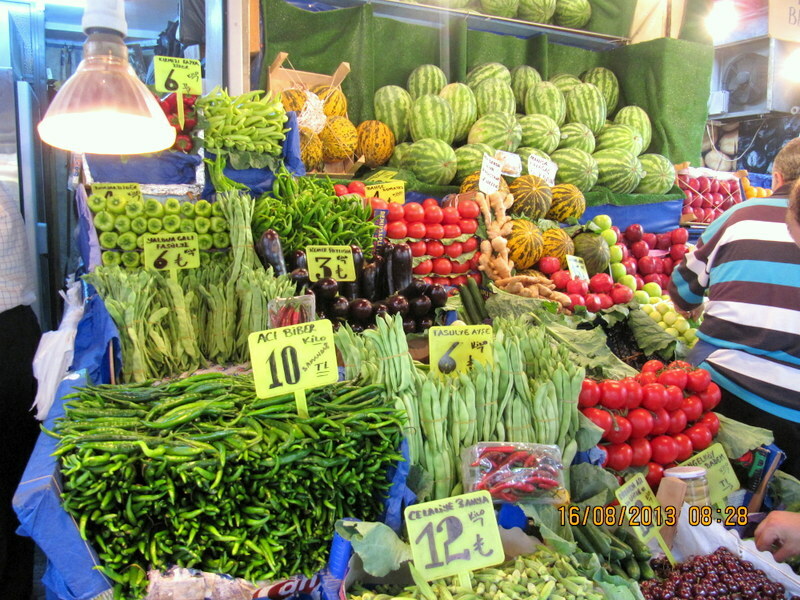 Dried vegetables (peppers, chillies, baby okras, aubergines etc.) were hanging beautifully. I brought some back after having a short lesson from a shop keeper how to rehydrate, stuff and cook them. Thats my challenge now! Spicy turkish sausages, the pastrami, and the cheese was delicious. I had to go back on my last day to buy some to take home. 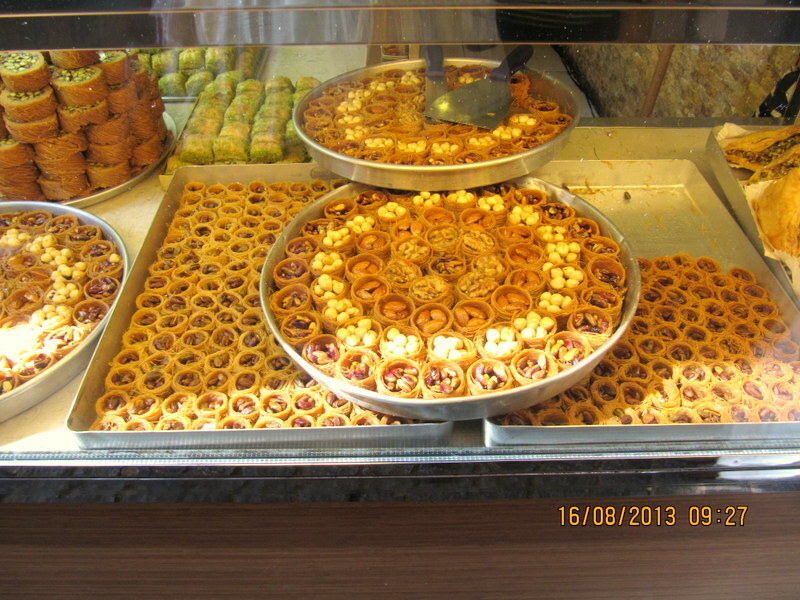 A display in a small baklava shop near the market. 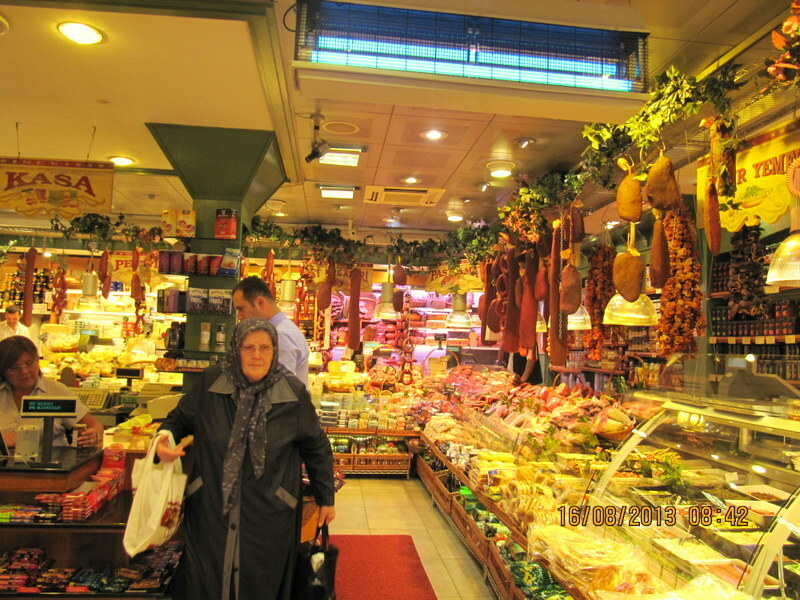 The arrangements of baklava inside the market looked spectacular, but this simple shop frequented by the locals looked more natural – the baklava was delicious too! Afternoon in the local bakery! 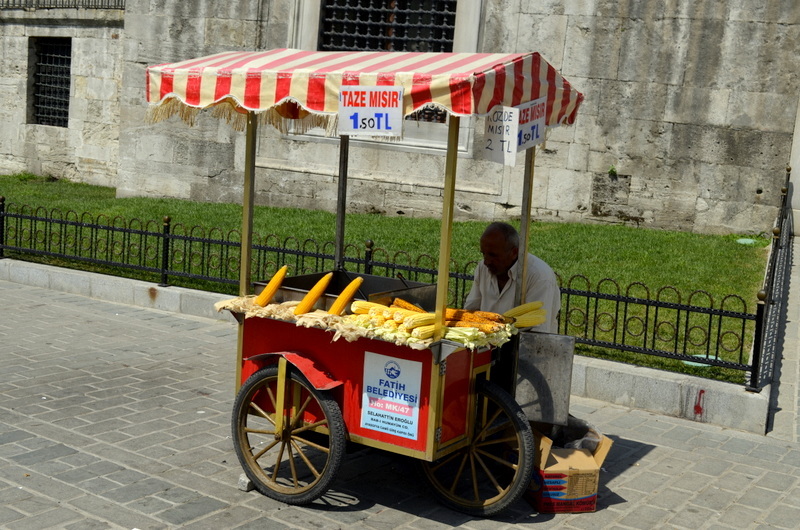 A corn vendor – a common sight all around the tourist destinations! 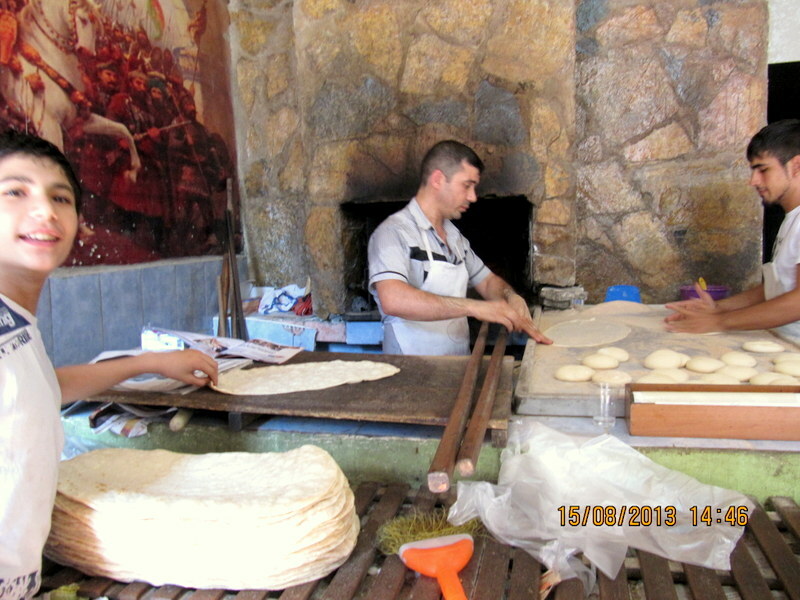 Local bread was sold everywhere from early morning. 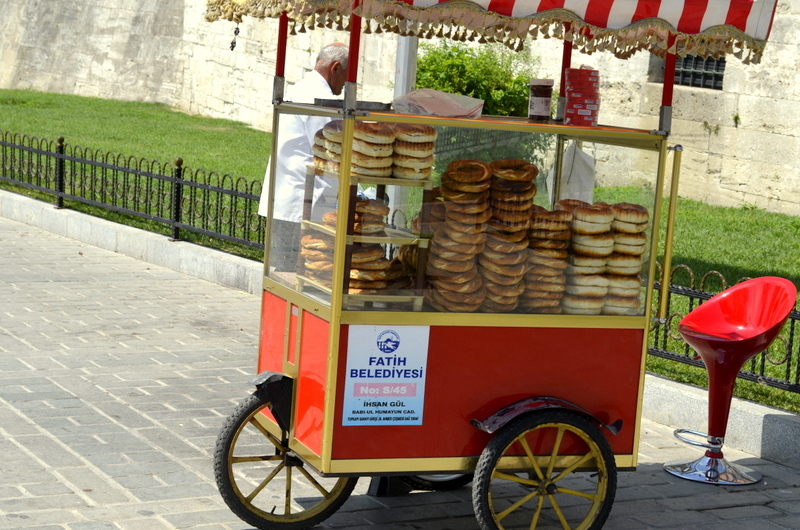 They were perfect as a light snack while walking ….